Across the country consumers and farmers alike are joining in the grass-fed revolution because it’s tasty, healthy, and better for the environment. 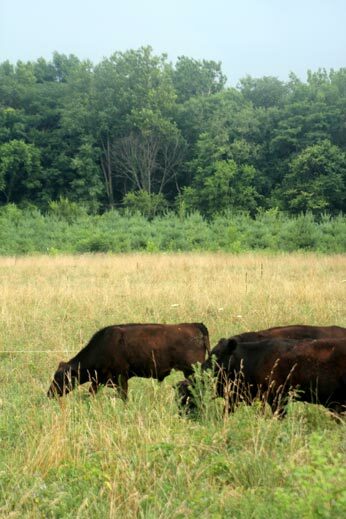 Our cattle are rotationally grazed, 100% grass-fed from start to finish, and free of hormones and sub-therapeutic antibiotics. We are currently sold out of quarters of beef, since most of our beef is reserved for our CSA members. However, do contact us if you are interested and we’ll let you know our latest inventory. 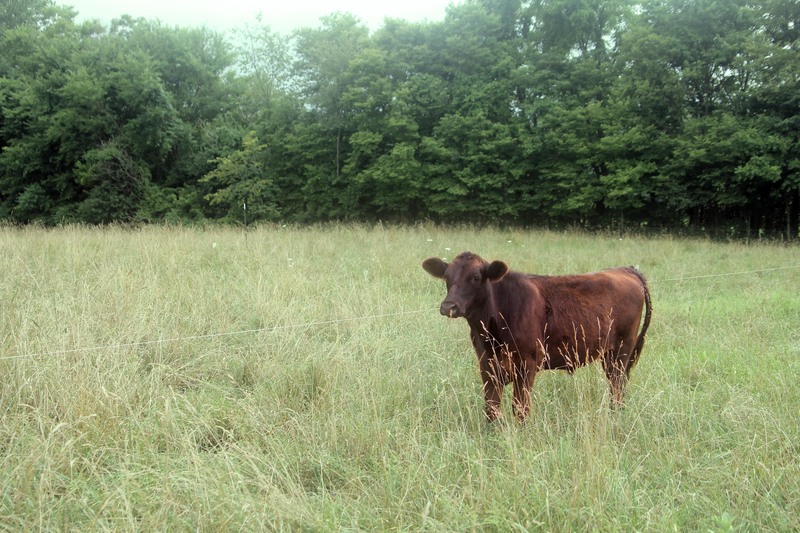 Grass-fed beef is revered for its integrity, its ability to heal the land, and its superior health properties. Cattle are not biologically designed to eat grain. Grain-fed and -finished cattle are trucked to feedlots and forced a diet of corn, soy, and growth hormones, with regular antibiotics to keep them alive.